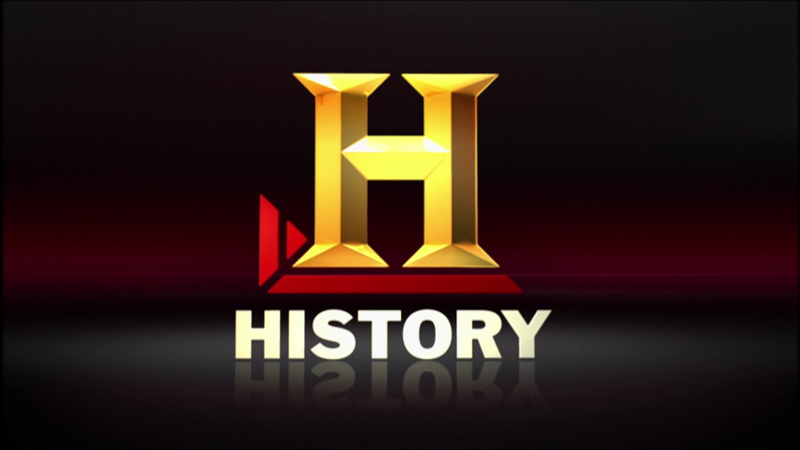 The History Channel is a satellite and cable TV channel, devoted mainly to historical events and persons. Programming covers a wide array of periods and topics, while similar topics are often organized into themed weeks or daily marathons. Subjects include military history, medieval history, the 19th, 20th, and 21st centuries, modern engineering, and historical biographies. History’s Emmy® Award-winning, and critically acclaimed documentary chronicled the terror of 9/11 in real-time. It is a minute by minute account of the catastrophe unfolding, using footage from numerous sources, including personal camcorder footage, police and fire department recordings, and in-the-moment commentary from first responders and witnesses. This anniversary edition includes interviews and perspectives from those featured in the film, and people who can speak to the events that followed the attack. The Royal Air Force held its breath as its ageing but legendary fleet of Vulcan Aircraft undertook one last mission. The RAF took the first strike against the Argentinian invaders of the Falkland Islands. Its bombs delivered an unmistakable message; the British are coming and we will not be defeated. Only one aircraft could achieve this seemingly impossible mission over such a long distance - the legendary Vulcan Bomber. As large as a Boeing 737-200 and as fast as a fighter. With an operational ceiling of 65,000 feet her delta shape and ultra secret anti radar devices made her all but invisible to enemy forces. 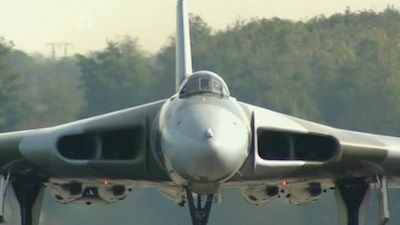 She was unlike anything that had been seen before and sent shock waves around the world.The programme charts the history of the aircraft, the conflicts it was involved in and follows the restoration of the World's only flying Vulcan, XH558. Also features archive film and photographs, interviews with aviation journalists, those involved with XH558's restoration and former RAF pilot and author Frederick Forsyth.An Electromedia Production for the History Channel. This is the true and astounding saga of the Spartans at Thermopylae. It is among the greatest tales of war ever recounted. All the glory and grit of these warriors' last stand is captured in this exceptional documentary. It is almost impossible to understand how 300 Spartans managed to hold off the million-man Persian army for even a moment, much less seven days. To a man they paid with their lives but their stunning Last Stand assured that their sacrifice would resonate throughout history. Relying on brilliant tactics, lifelong training, and unshakable allegiance, the doomed Spartans achieved the impossible. The Battle of Thermopylae is literally a textbook case, required reading even to this day at military colleges and officer training around the world. 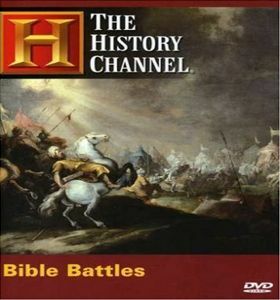 Now, THE HISTORY CHANNEL offers a definitive perspective on the epic conflict with this instructive and thrilling feature-length presentation. Transporting dramatizations and incisive graphics put you in the heat of the battle and show the lay of the land. 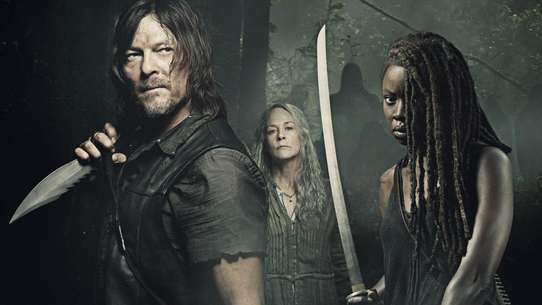 The complications and strategies of the conflict are revealed through careful analysis, and critical moments are reconstructed to show exactly what happened. Discover what the Spartans were fighting for, what made them capable of such heroics and what drove them to such sacrifice. On August 25th, 79 AD, the Roman cities of Pompeii and Herculaneum were flash-frozen in time when Mount Vesuvius erupted, destroying all life in its path. Noted paleontologist, archaeologist, and forensic physicist Charles Pellegrino is the author of Ghosts of Vesuvius, a fascinating look at this ancient volcanic eruption. 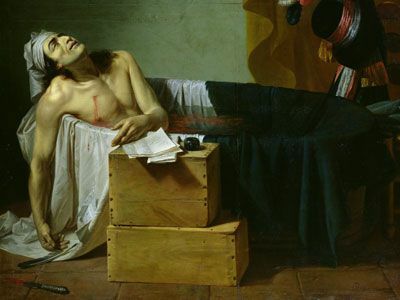 In AMERICAN VESUVIUS, Pellegrino uses the emerging science of forensic archaeology to decipher clues and gather evidence that helps him reconstruct the final moments of the victims. 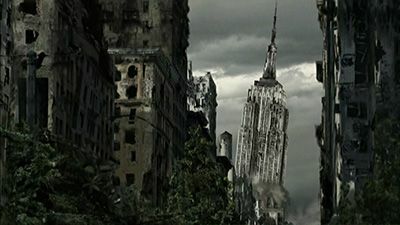 Using the same forensic techniques, Pellegrino undertakes an investigation of the ruins of the World Trade Center. By processing evidence and interviewing witnesses, he illustrates dramatic physical parallels between Vesuvius's eruption and the collapse of the Twin Towers. 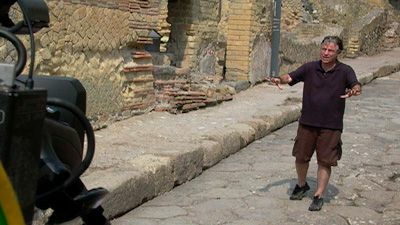 His scientific exploration results in an array of startling connections between the destruction of Pompeii and Herculaneum and the man-made devastation at Ground Zero. A gripping story of bravery and defiance that explores the Falklands conflict through the eyes of the people who lived through it, the islanders. 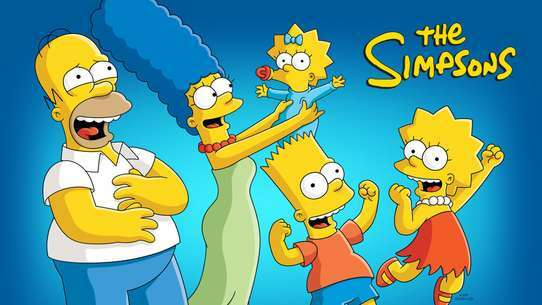 Winner of the prestigious Broadcasting Press Guild ‘Best Multichannel Programme’. The idea that history is written by the victors is perhaps nowhere more true than in the aftermath of the American Civil War. The Union's defeat of the Confederacy brought the southern states back into the American fold, but in many ways, the two regions would remain divided, the North inheriting the credit for its impact on history. From the first permanent English settlement in Jamestown, Virginia, to the Declaration of Independence and the U.S. Constitution, the South has shaped American culture and history. 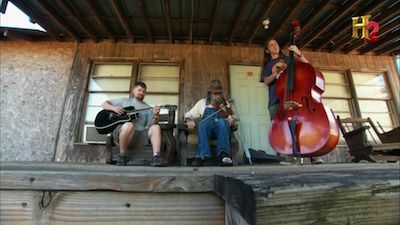 You Don't Know Dixie explores the pioneering spirit, self-reliance and grit that sets the South apart from the rest of the country. How did the South get its twang? Is the Southern accent really the nearest surviving relative of the American colonial accent? And what, exactly, are grits? HISTORY uncovers the South from the inside out, revealing fun facts and unique Southern flavor, with commentary from some of today's best known Southerners including Trace Adkins, Al Bell, Bobby Bowden, James Carville, Jeff Foxworthy, Ty Pennington, Ricky Skaggs, Herschel Walker, and Michael Waltrip. The shadow of war between Christian and Muslim hangs over us today, but it is a war that began nearly a thousand years ago. By the close of the 11th century, Jerusalem had been in Muslim hands for over 400 years. In 1095 Pope Urban II launched an unprecedented military campaign to seize it back--a "Crusade" to purge the Holy Land of "the infidel". Over 60,000 Christian warriors would journey 3000 miles and for almost three years to reclaim the Holy City in the name of God. But their adversaries, the Turkish warlords of the Middle East would resist them every step of the way. 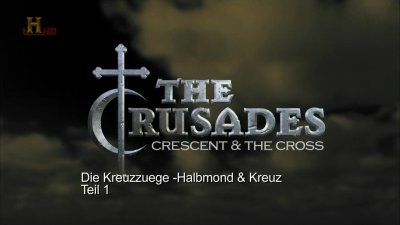 In a series of epic battles and bloody massacres, tens of thousands would die as the crusaders inched ever closer towards Jerusalem. 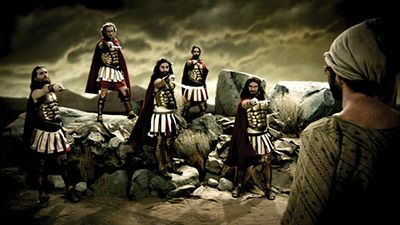 A look at the christian bible through the eyes of a military historian. Did you know that the quaint custom of Christmas caroling actually began with drunk and rowdy revelers threatening people door to door looking for food and liquor? Early versions of the heartwarming legend of Santa Claus described him as a horrible devil named Krampus who beat and kidnapped naughty children. In America during the 17th and 18th Centuries, celebrating Christmas was against the law! 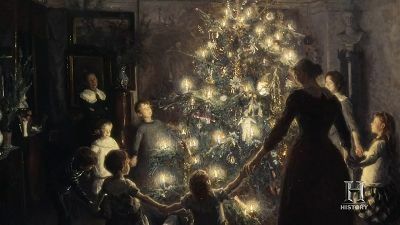 There's a lot to tell about the history of Christmas, and a lot you may not know. Along the way, meet Ebenezer Scrooge and George Bailey, The Grinch and Rudolph, and learn the true origins of our Christmas traditions. So grab some eggnog and a slice of fruitcake as HISTORY unwraps THE REAL STORY OF CHRISTMAS. Humans have mapped every corner of the globe – from jungles and deserts to the depths of space. Yet we’ve gone only seven miles below the Earth’s surface – just one five hundredth of the way to the Core. The two-hour documentary JOURNEY TO THE EARTH’S CORE goes deeper: 4,000 miles down to the heart of our planet. Along the way, scientists, engineers, explorers and adventurers encounter an underground world where: strange life forms inhabit deadly environments over a mile down; trees force their way through 400 feet of rock to find water; 1500-foot tall skyscrapers are built on sand; mines are the size of cities; and prospectors give the Earth electric shocks to help find oil. It also a place where people run marathons, make parachute jumps and scuba divers edge their way to the base of the world’s deepest caves. ENOLA GAY: RAIN OF RUIN puts you inside the cockpit of the historic B-29 Superfortress bomber whose devastating payload helped bring about the end of WWII. 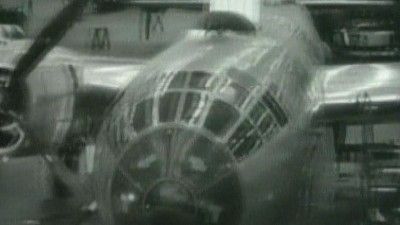 From the development of the atomic bomb to the horrific aftermath, highlights include dramatic footage taken by the crewmembers themselves. It began like the common cold. Then came fever, baseball-sized black swellings on the neck, and coughing up blood. Few infected lived more than two days. 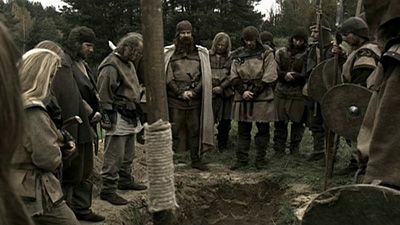 In the three years since it first struck in 1437, almost half of Europe's population died within three years. THE PLAGUE visits the rat-infested holds of the ships that brought death and disease, witness the terror that swept through towns, and walks with religious flagellants. Follow a princess as she travels into the center of the plague, a doctor who struggles to understand what is happening, and a Jewish merchant caught up in violent attacks. Hear the actual words of the victims, taken from diaries and journals. From the Pope's palace to the humble huts of medieval peasants, watch as people live and die in the unforgiving grip of fear and death, and wonder how we would act if such a terrible event happened today. 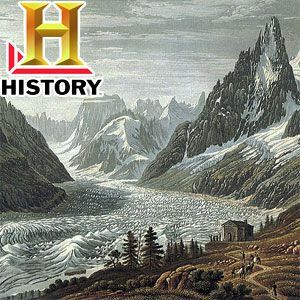 History of the World in 2 Hours gives viewers a rapid-fire history of our world, from the beginning of time as we know it to present day. 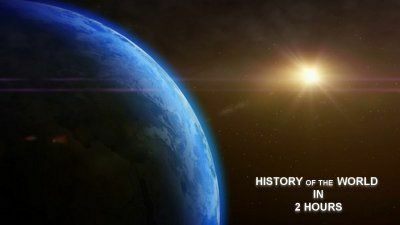 History of the World in 2 Hours delves into the key turning points: the formation of earth, emergence of life, spread of man and the growth of civilization – and reveals their surprising connections to our world today. If humans were suddenly to disappear, what would happen to our planet--the structures we’ve built, the everyday items we take for granted, animals domesticated and wild, plants, trees? What would become of the things that define our species and leave our mark on this Earth? Visit the ghostly villages surrounding Chernobyl (abandoned by humans after the 1986 nuclear disaster), travel to remote islands off the coast of Maine to search for abandoned towns that have vanished from view in only a few decades, then head beneath the streets of New York to see how subway tunnels may become watery canals. THE HISTORY CHANNEL takes you on an amazing visual journey in LIFE AFTER PEOPLE, a thought-provoking adventure that combines movie-quality visual effects with insights from experts in the fields of engineering, botany, ecology, biology, geology, climatology, and archeology to demonstrate how the very landscape of our planet will change in our absence. Is building our own starship Enterprise possible? 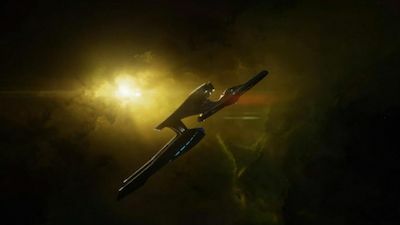 Will we ever travel between the stars as easily as they do in Star Trek? JJ Abrams' new feature, Star Trek Into Darkness, hits the screen in a golden age of scientific discoveries. HISTORY is there, giving viewers a deep look behind the scenes, on the set, and into the science--amazing new exoplanets, the physics of Warp drive, and the ideas behind how we might one day live in a Star Trek Universe. 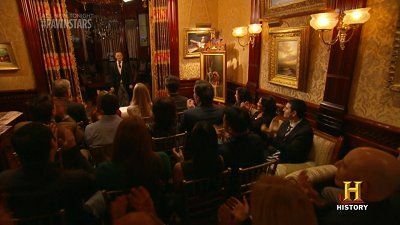 Master illusionist Steve Cohen tracks down, decodes, and resurrects some of the most thrilling and terrifying magic effects ever witnessed. Magic has a secret history, and it takes an insider like Cohen to gain access to the ancient incantations, secret sorcery, and mysterious contraptions that have shocked audiences for centuries. Can their secrets somehow be rediscovered? And can they thrill and shock today's audiences like they once did? Explore the mysteries of how these legendary effects were influenced by their times, and even how the illusions themselves changed the course of history. Steve Cohen discovers that there is much more to magic than meets the eye, and he becomes drawn closer and closer to taking the same sometimes death-defying risks that conjurors have been taking for the sake of an illusion since magic began, over a thousand years ago. By the summer of 1900, Galveston, Texas was one of the fastest-growing cities in the United States, and its citizens were full of optimism as the 20th century approached. One of those citizens was Isaac Cline, appointed a decade earlier to head the U.S. Weather Bureau office in Galveston. But on September 8 of that year, a Category 4 hurricane washed away most of the city and claimed more than 6,000 lives--still the deadliest natural disaster in U.S. history. This documentary focuses on Isaac Cline's role in the disaster: was he (as local legend has it) a heroic figure who saved lives by warning the population to flee, or did scientific hubris prevent him from seeing the danger until it was too late? A look at European history after the fall of the Western Roman Empire. At its height in the second century A.D., the Roman Empire was the beacon of learning, trade, power and prosperity in the western world. But the once-powerful Rome--rotten to the core by the fifth century--lay open to barbarian warriors who came in wave after wave of invasion, slaughtering, stealing, and ultimately, settling. As chaos replaced culture, Europe was beset by famine, plague, persecutions, and a state of war that was so persistent it was only rarely interrupted by peace. THE DARK AGES profiles those who battled to shape the future, from the warlords whose armies threatened to case the demise of European society, like Alaric, Charles the Hammer, and Clovis; to the men and women who valiantly tended the flames of justice, knowledge, and innovation including Charlemagne, St. Benedict, Empress Theodora, and other brave souls who fought for peace and enlightenment. It was in the shadows of this turbulent millennium that the seeds of modern civilization were sown. This astounding documentary delves into the mysteries of the Tunguska event – one of the largest cosmic disasters in the history of civilization. At 7.15 am, on 30th June 1908, a giant fireball, as bright the sun, exploded in the sky over Tunguska in central Siberia. Its force was equivalent to twenty million tonnes of TNT, and a thousand times greater than that of the atomic bomb dropped on Hiroshima in 1945. An estimated sixty million trees were felled over an area of over two thousand square kilometers - an area over half the size of Rhode Island. 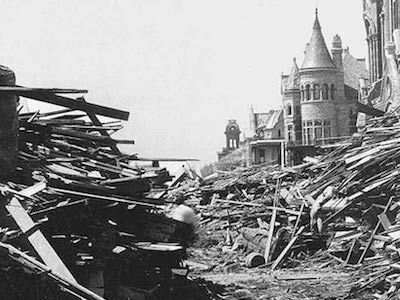 If the explosion had occurred over London or Paris, hundreds of thousands of people would have been killed. 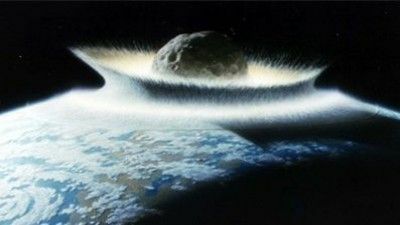 For almost one hundred years, the catastrophic cosmic impact of the century has remained a terrifying and hotly debated mystery. The first expedition to reach the site was led by Russian scientist L.A. Kullik in 1938. His team uncovered a colossal degree of devastation, but could find no obvious crater. Historians and scientists continue to speculate about what caused the apocalyptic fire in the sky, and why the elusive object failed to leave a crater. 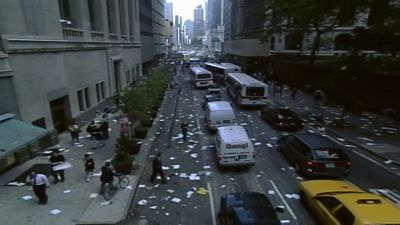 A huge number of theories and conspiracies surround the event. The suggested culprits vary from asteroids and comets to ball lightning, black holes and alien spaceships. Most scientists agree that such an event is likely to occur again. Next time, the human toll could be unimaginable. We reveal that NASA and other organisations are currently engaged in a desperate race against time to stop the next potential planet killer. Documentary detailing the philosophy of Sun Tzu; A Chinese general who wrote the fundamental principles of war. 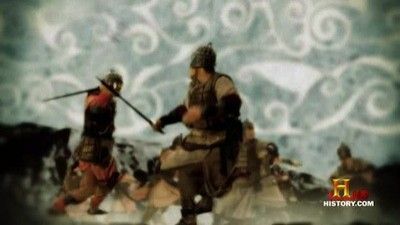 This program analyzes wars in recent history and explains how Sun Tzu's philosophy is still relevant today. Documentary on the main principles of Sun Tsu "Art of War" illustrated with examples from the second world war, the Vietnam war and the American civil war. From the early cave dwellers who first stumbled upon psychedelic mushrooms to the over 6000-year-old tradition of opium cultivation in the East to a modern pharmaceutical industry with over 24,000 drugs on the market, drugs hav played a role in our lives since well before recorded human history. Explore the reasons we've used drugs through the ages, while considering the devastating consequences that accompany the choice to use certain drugs. This fascinating, fresh, and insightful documentary will ask the question: overall, have drugs done more to help us or hurt us? Host Dean Norris (Hank from Breaking Bad) will journey through the millennia and look in on the greatest civilizations in human history to discover if drugs helped these societies flourish or fail and whether drug use was holy or hedonistic, a savior or a curse?